Newtown, CT: How did our God allow this to happen? The breaking news from Newtown, CT is heartbreaking to say the least. 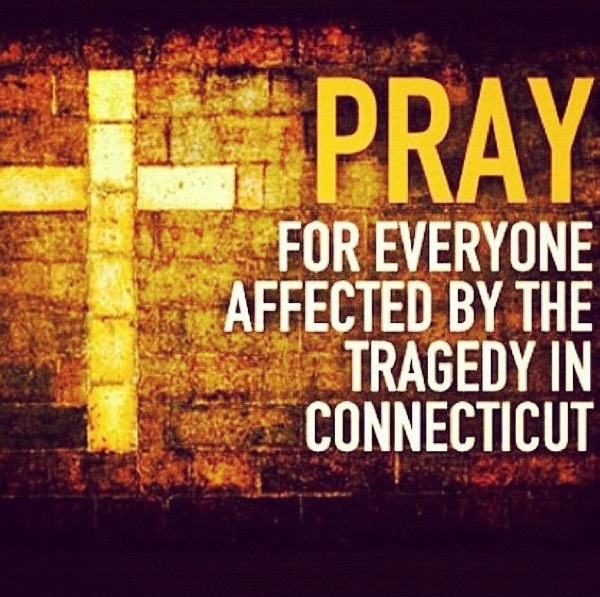 I literally cannot even imagine what the families, that town, the authorities, and the churches are going through. A while back we had a single-person school shooting in our city, and it was devastating to say the least. I cannot imagine being involved in such a tragedy on this level. My prayers go out to all of those involved. How do we respond when people ask “How did our God allow this to happen?” What are some of the best Scriptures to refer them to? Can God really be both all-powerful and all-loving in such tragedies? Does this bother God when there are tragedies happening all around the world? When answering questions like these in tough times, we must keep in mind both emotion and truth. We cannot forget what people are feeling and the answers they are wanting to hear. So how do we respond? How do we defend our great God? Not to diminish or minimize this horrific event at all, but there have been countless terrible and tragic events throughout history that have left people wondering these same types of questions. Honestly, God does not need our defending. He is Creator, and we are all His creation. But God has given us wisdom to make sense of these type situations in accordance with the truth of His Word. We know that horrific tragedies like these involving sin and death always break the heart of God (Genesis 6:6, John 11:35, Ephesians 4:30). Then if God hates sin and is powerful enough to stop it, why doesn’t He? That is a very difficult question to answer. We see throughout Scripture that there are many sins, tragedies, and deaths that God did not stop. Yet He ended up using them and turning them somehow for the ultimate good of His will (Genesis 50:20). Does that mean that God planned this to happen in any way? of course not! God’s Word is very clear that He never even tempts anyone with sin (James 1:13). The point is, God is so holy and removed from sin that He would never tempt with sin much less cause sin to happen. But out of His grace, God can use the sin, tragedy, and death to bring about His glory and some kind of good on the earth in the overall bigger picture and scheme of things. I can’t explain that, and I don’t even pretend to understand how good might come out of this. But that is how powerful, wise, and victorious our God is! Over 10 years ago, I had the privilege of doing a youth ministry internship, Patrick McGoldrick. I learned an incredible amount of youth ministry ideas, tools, methods, and truths. Over the last 10 years, Patrick has always been a phone call away from me. He has always given me his time, his listening ear, and his best advice on youth ministry and life. I have always appreciated Patrick as my good friend and youth ministry mentor. This last December I got a call from a mutual friend of Patrick’s that he had been diagnosed with ALS (Lou Gehrig’s Disease). 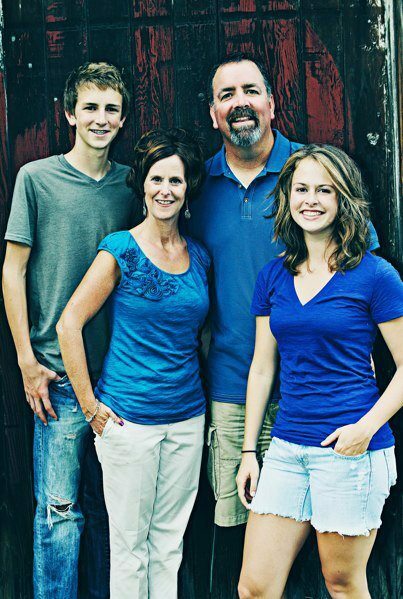 Patrick is taking on this deadly disease as a Godly man of strength and honor. Its incredible to watch his joy increase as his body fails. As you could imagine, tons of churches are calling Patrick up to come and speak for them. We have been blessed to be one of the first to hear his incredible message of his testimony of salvation and suffering. You will absolutely love this sermon, be moved, and you will worship our God who saves and allows us to suffer for His glory! In this sermon, we tried to biblically answer tough questions like: How could a good God allow evil? Why would God create Satan knowing he would lead the world into sin? Why would God create Adam with an ability to sin and allow Him to sin knowing Adam would drag down the world with him? If God loves life and hates death, why would God demand death after Adam sinned? If God seemingly loves me, why does He allow hurt, suffering, pain, and evil in my life? This last Wednesday’s sermon was pretty deep. So, here’s a short attempt to summarize it simply. There are lots of tough questions when it comes God’s providence. The two toughest questions that we covered were why would God create Satan knowing he would cause the world to be cursed with sin, and why would God create Adam, put everything under his feet as the head of the creation, and allow him to fall into sin. Obviously God knew that this would happen. The best way to explain this is understanding the “Greater Good Theory.” The Greater Good Theory says that God IS God so He MUST always do what is absolutely best. God cannot even choose what is second best because He is God who always does what IS best. God’s best is what glorifies Him most, and what glorifies God most is a world that brings glory to His Son. So, why did God create Satan and allow him to sin? It seems it is because that is God’s BEST way to bring glory to Himself by the whole world seeing all sides of His character: love, mercy, grace, judgment, wrath, forgiveness, etc. God’s greatest good was to create a world with the potential to sin so that He could show off every characteristic of His nature. Why did God create Adam with the ability to sin knowing full well what would happen? It is because God’s greatest good was to create Adam while full-well knowing that Jesus would take His place with everything under his feet. That is this last Wednesday night in a nutshell. God can only do what is absolutely best. God absolute best is the glory of His Son being supremely displayed, and the best what for that to happen was to bring about the greatest good with the world He has created and sustained. Deep stuff! Framework #27: The Doctrine of Providence – How could a good God allow evil? We’re taking a break from our normal Storyline series that goes through the whole Bible, and we’re going to look at the Doctrine of Providence for this month in our Framework series. I don’t want our student ministry to just be about “love Jesus”. I also want us to know the truth of Jesus from His Word. So we’re taking a long, hard look at what providence is and what it means for our lives. We call this series Framework because we want God’s timeless truths to be the Framework structure that holds our lives, faith, and thoughts together. We’re tackling super tough questions in this series, so I hope you enjoy it with us!